earn their trust, and their business, over their lifetime and their family’s lifetime. Expanding access to financial services for women equals big benefits. We know the power of the female market is $20 trillion…and growing! A recent study from BNY Mellon and the UN Foundation found that expanding women’s access to financial services could unleash $330 billion in global revenue annually. Dubois also stated that expanding women's access to financial services and products would boost financial service firms - and the global economy. Expanding women’s access to financial services could unleash $330 billion in global revenue annually. What can I do to reach (and retain) the market share more efficiently? How do I better communicate the benefits of financial planning? Where can I learn tips to ‘close the sale’ more effectively? Where can I find someone who understands my financial needs, as a woman? How do I connect with a financial professional who will listen to me? I want advice about my investments, and how to plan for my future, but who can I trust? The purchasing power of women ranges from $5 trillion to $15 trillion annually. Women control more than 60% of all personal wealth. Almost 40% of working women are out-earning their husbands. According to the World Bank, woman comprise 40 percent of the world’s workforce, yet they face a myriad of challenges in access to financial support. Financial institutions are primed to grow by serving the female market. A few years ago, I was intrigued when I came across a message in my inbox from Esther Dassanou, leader of the Women and Insurance program at the International Finance Corporation (IFC), the premier development finance organization and an agency of the World Bank Group. “We are interested in creating a selling to women’s training specifically taking into account the particularity of the insurance industry, as well as unconscious biases which would prevent insurance agents from being successful in reaching women customers. The person who wrote this email was using the words I have been strongly verbalizing for years: We need to educate financial institutions to focus on the female market. I assumed Esther found me through my new company Purse Strings, which focuses on arming insurance and financial professionals with information and skills on how to reach, engage and earn the female dollar. But it was through outdated videos, created years ago, in my early days of heeding the call for financial institutions to focus on the female market. And, I am honored to say Esther and I did work together. My consulting company, Provost Consulting, Inc., worked with International Finance Corporation (IFC), an agency of the World Bank Group. Together we created training for insurance and financial agents working in Nigeria, explaining why - and how - to work with women. The World Bank used this training as a model for several other countries. The World Bank used this training as a model for several other countries. Since that email, I returned to my work on Purse Strings. I knew it was a vitally important issue, and the World Bank saw the same need to address and solve this problem in under-developed countries. However, addressing women’s financial needs is not an issue restricted to under-developed countries: Most women in the United States are not prepared for their financial future – for many reasons. 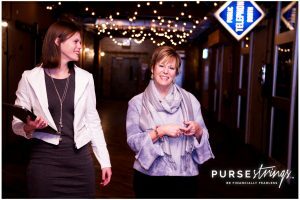 At Purse Strings, we provide free online information and resources to empower women to make smart financial decisions for themselves and their future. We also provide the needed training insurance and financial professionals need to earn the female dollar. I invite you to join our workshop to learn more about what insurance and financial professionals all over the world are finding out: https://pursestrings.co/expert/purse-strings-professional-workshops/. Women are the most powerful market - learn how to serve them effectively.